When asked about the current functionality of campus spaces, students and educators placed “support for technology” at the top of the list. A smart board, strong Wi-Fi signal and easy access to recharging stations make this focused-study area appealing. 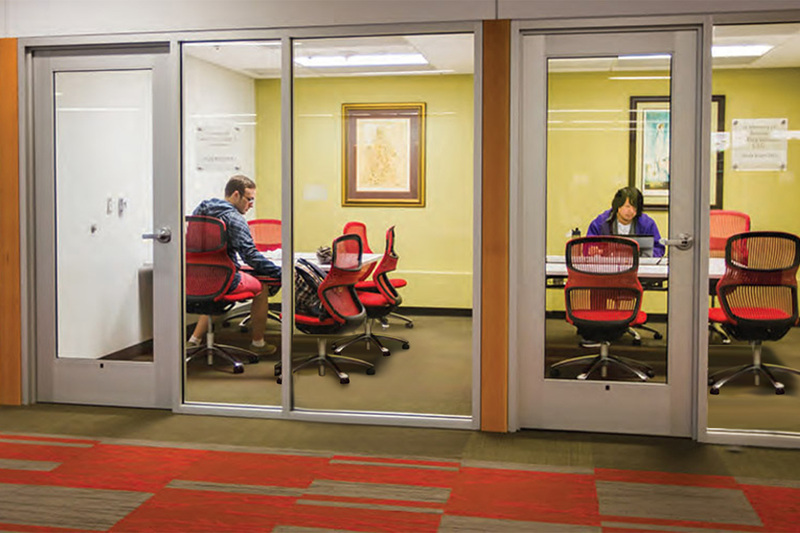 Focus rooms provide students with areas to collaborate in small groups or do heads-down, focus work of their own. Studies show 44% of students’ on-campus time is spent working alone. The overall appearance of higher education facilities has a major impact on attracting students. Studies show 62% of high school seniors take the appearance of a campus into high account when selecting a college. Higher education isn’t limited to between 9 and 5 and involves interactions ranging from casual to formal. 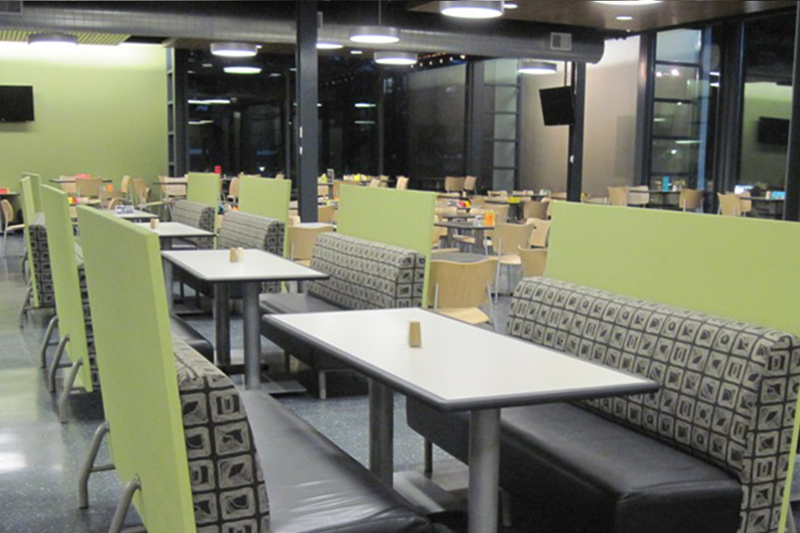 Create attractive spaces around campus that can be used at different times of day for varying purposes. Considering all possible activities, functions and user needs leads to strong design of public spaces on campus. In a library, organize space by activity and sound level. The college demographic may be the most open to boldness of them all. Match your space to their attitude with bold pops of color and functional neutrals. High-functioning, high-use spaces deserve furniture that is up to the task. Tables with center power strips provide flexibility, connectivity, increased seating density and a cohesive aesthetic throughout the space. Higher-education is a world of smartphones, laptop computers and tablets. 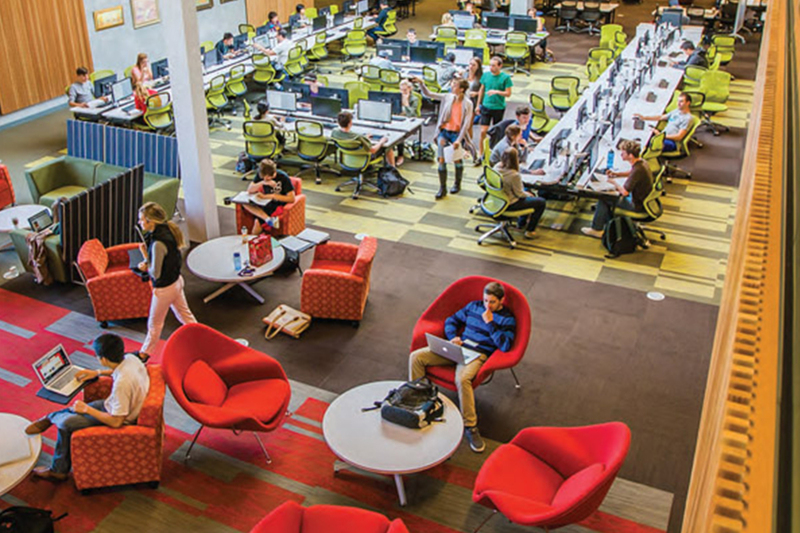 Making sure there are plenty of plug-ins designed smartly into the space will attract students in droves. Sound masking allows student collaboration and solo studying to happen within close proximity. Studies show 66% of students prefer quiet when studying alone. 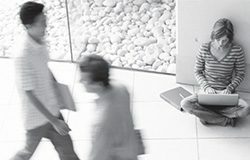 Build in technology that supports a variety of hardware, data and power connections to enable seamless use of many devices and create extremely versatile spaces. Ways to teach and learn are constantly changing. Incorporating technological and physical flexibility into your spaces makes them ready to evolve with education. Incorporating spaces for quiet focus work is critical in environments that also offer lots of social and collaborative areas. Studies show students prefer solitary studying over group work 3-to-1. Not all groups are created equal. 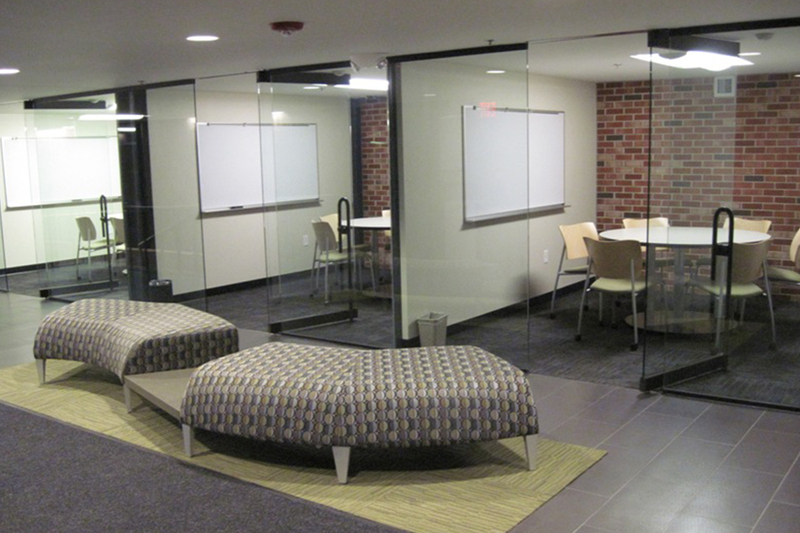 Offer a variety of enclosed study rooms that provide privacy and protection from interruption for groups of various sizes and purposes. 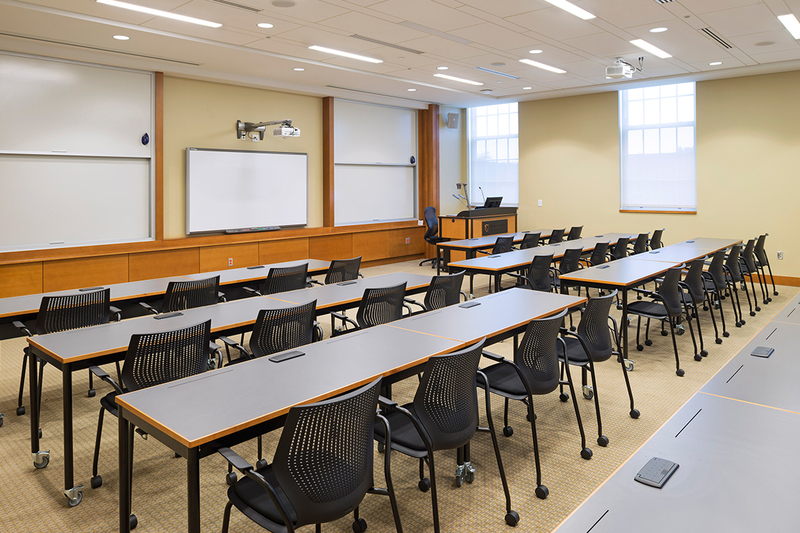 Equipping study rooms with technology and communication tools creates in-demand spaces where students can use their laptops and other technology to share knowledge and collaborate. The right color can transform drab into dramatic and make space more visually appealing for students. Mobile seating that can be spontaneously moved increases the functionally of the space. Thanks to energy-saving technology and techniques, you can let in light to enhance students’ cognitive function and alertness without letting the heating and cooling out. Research shows that exposure to daylight enhances alertness and cognitive functioning. Technology is a given on today’s higher-education campuses. Smart placement of high-tech throughout the campus makes it convenient for students to stay connected no matter where they are. Students are entering higher education in record-breaking numbers. Strategic use of space can help attract and educate students with diverse backgrounds, ages, needs and goals. Technology & Limitless Learning Technology has made a profound impact on how students learn and engage, and is easily the single factor with the widest range of influence in the educational setting. Learning spaces need to be prepared to host ever-changing technology. 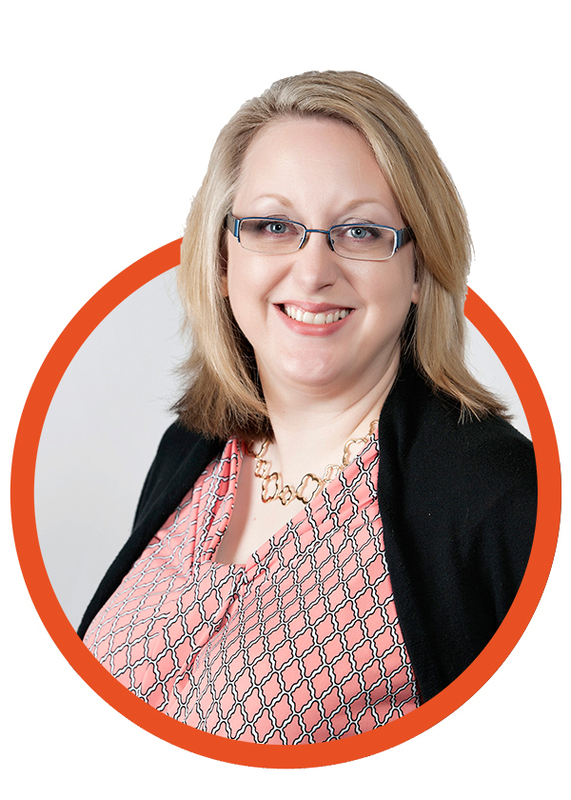 Experiential Environments & Interactive Learning in Classrooms It is more important than ever to keep the physical campus relevant and create environments that are not only inspirational, but support many different modes of teaching and interactive learning. Mobile furniture and adaptable spaces help meet the growing demand for interaction and collaboration. Accommodate Solo Studying Studies show that 71% of students prefer to study alone rather than in groups, and that working alone represents almost half the time students spend on campus. Smart use of space can accommodate solo studying. An Increasingly Diverse Audience The average age of today’s higher-education student is 29, and the range of ages in higher ed is wider than ever. Providing space that is functional for a variety of ages and educational journeys is increasingly important for attracting and retaining an aging student population. Competitive EdgeCampus appearance is a powerful tool for recruiting quality students, faculty and staff. In fact, 62% of high school seniors made their college choices at least partially based on the appearance of campus buildings and grounds. This paper takes a closer look at the environmental transformations underway in higher education. A peek into the buildings reveals a very different picture than that of a decade or two ago. What is so different? And more specifically, how does this affect the planning function?